Mumbai, August 28, 2016: Hair stylist of International fame Shivaram K Bhandary has been chosen to participate in the 9th Vishwa Akka Kannada Sammelana to be held at the Atlantic City Convention Hall, New Jersey in USA from September 2 to 4 under the aegis of Association of Kannada Kootas of America. 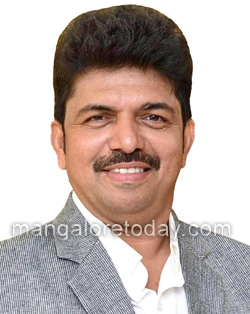 Bhandary who hails from Attur Daregudde in Karkala taluk of Udupi district is the Managing Director of Shiva’s Hair Designers Private Limited in Mumbai and is also an acclaimed Bollywood hairstylist. He also has earned the ’Bhandary Vibhushana’ title. Several dignitaries including Karnataka Chief Minister Siddaramaiah are expected to participate in the event in which Ambi Nite of famed Kannada veteran actor and former minister, will be the star attraction.